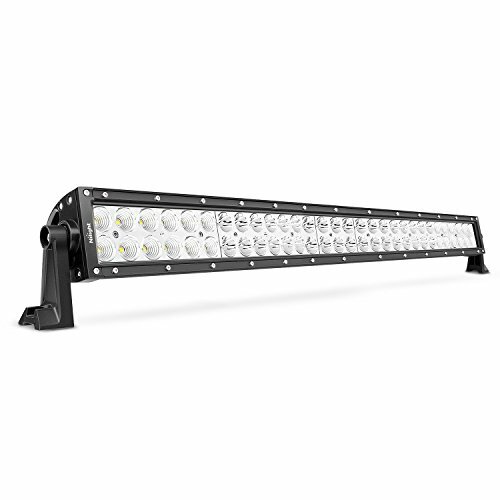 HIGH BRIGHTNESS: Powerful 180W LED light bar, high-quality Led chips and clear PC lens, super bright white light dispels darkness. COMBO BEAM, CLEAR VIEW: Appropriate combination of spot beam and flood beam for wide spread and long distance illumination. SIDE MOUNTING BRACKET: The sturdy bracket can firmly fix the light bar. Quakeproof when passing through rugged terrain. Before installing this product, please check your state/provincial and local/municipal laws and regulations.If the light bar cannot work, try test the light bar to the power directly, Redline contact to positive of power, black line contact to power negative.